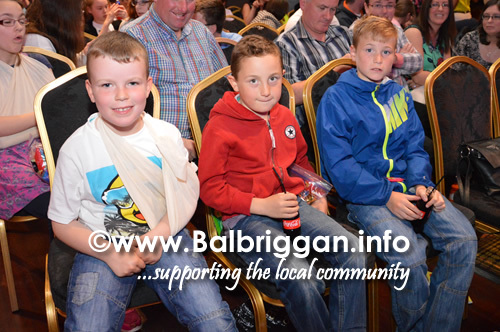 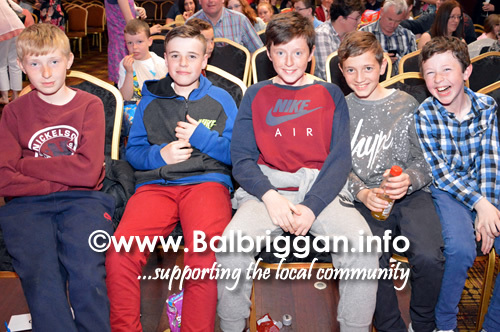 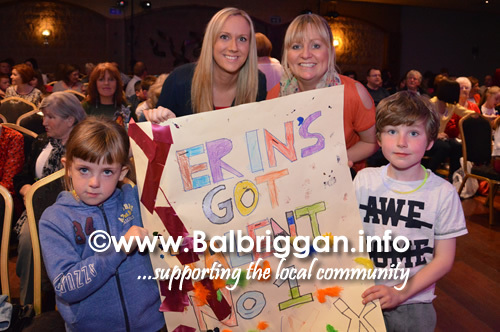 The final of Balbriggan’s Got Talent took place tonight and the standard was higher than ever. 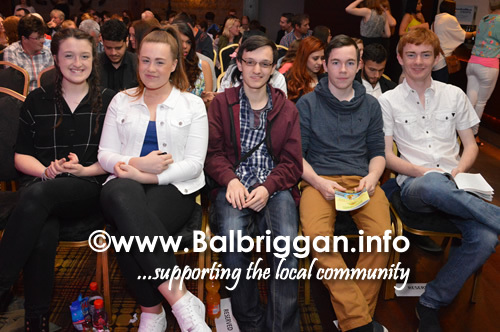 MC Brian Ormond did a fantastic job of putting the contestants as ease as they took to the stage. 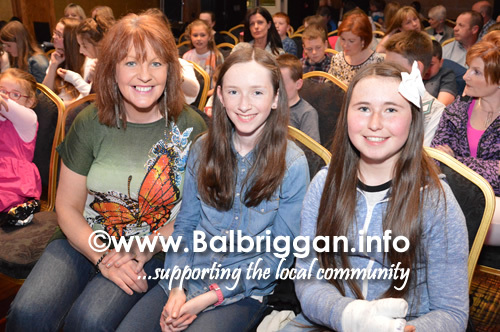 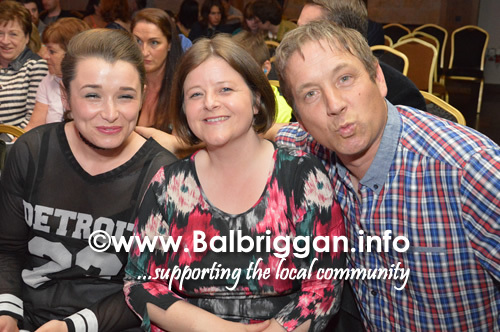 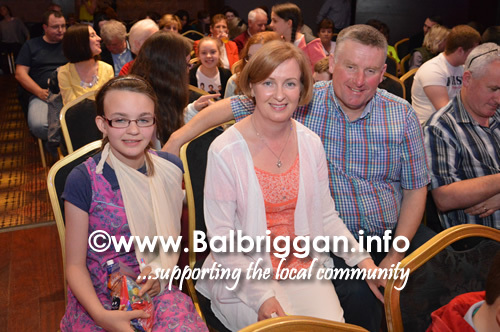 Judges Linda Martin, Brian Howard and Eric Campbell had a tough job of selecting 3 contestants who would then perform again with the audience having the final say to determine who would be crowned winner of Balbriggan’s Got Talent 2015. 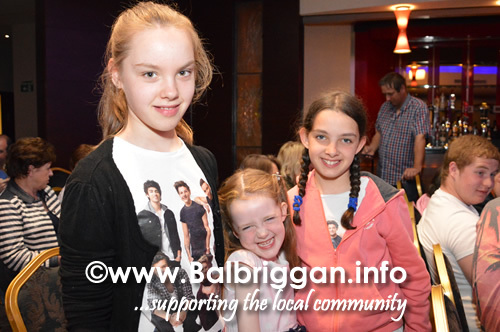 Winner on the night was the lovely and well deserving Eva Campbell who gave 3 cracking performances worthy of a winner. 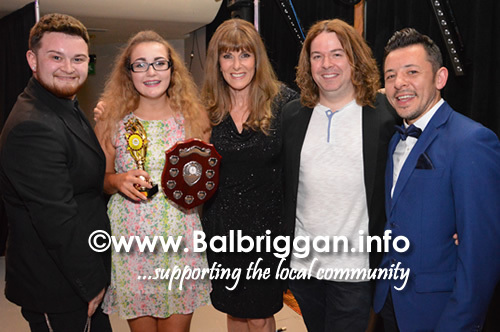 2014 Winner Joshua Russillo returned and gave a performance worthy of a seasoned pro and presented Eva with the Susan Garvey memorial trophy. 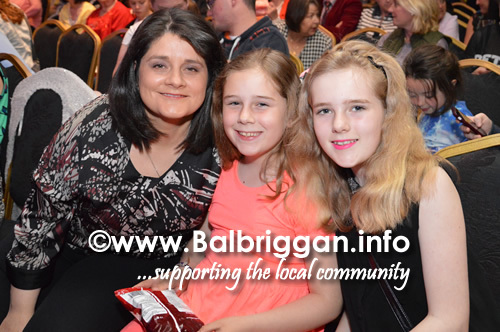 2nd Place went to Andrea Hickey for her fantastic performance of Madeline and third place went to a very talented Jade Roche. 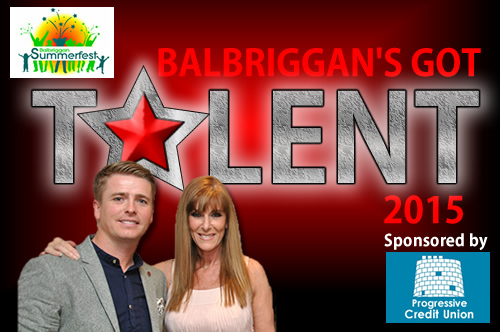 A big well done to all of the contestants – Clodagh Byrne, Eva Campbell, Erin Fanning, Zoe Grant, Aisha Gunning, Andrea Hickey, Rebecca Leonard, Leon Morgan, Jamie and Sarah, Mary and Karena, Liliana Rosco Pinheiro, Jade Roche and Mark Richardson. 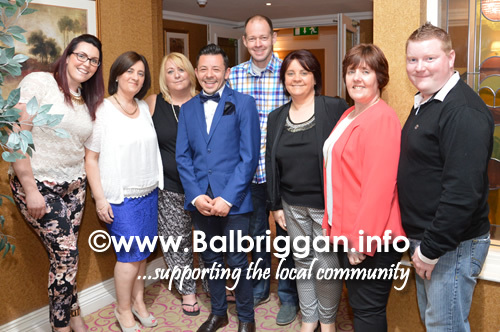 A fantastic night and a brilliant start to Balbriggan Summerfest 2015.